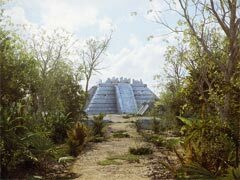 These are work-in-progress archaeological visualizations of the Maya site Chichen Itza. 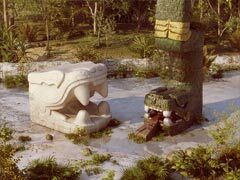 We’re showing the site after it was abandoned by the Maya in the late post-Classic period, the XfrogPlants springing up through as the jungle reclaims the site. 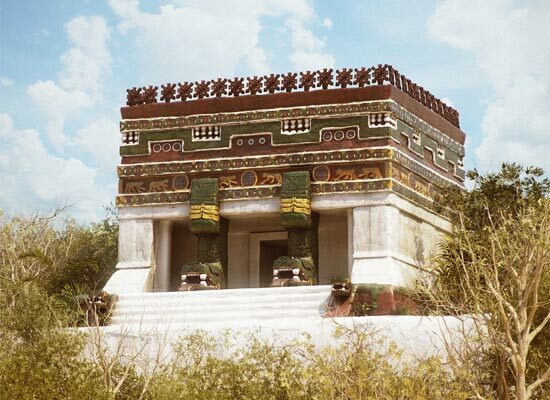 The images were originally created for the from the full dome film Tales of the Maya Skies. 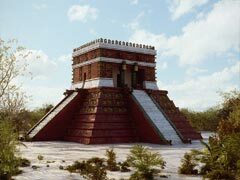 The scenes were built and rendered by the archaeological visualization group INSIGHT (www.insightdigital.org). XfrogPlants libraries were used to generate all vegetation. ‘Hero’ plant geometry close to the camera was modified in Maya, while the rest of the vegetation consists of thousands of geometry instances. In addition to the region shown in these images, an entire tropical forest canopy was generated to cover the entire region occupied by the post-classic Maya site Chichen Itza. This vegetation comprises more than 4 billion polys. All rendering was done with a non-biased global illumination renderer, Fryrender. Credits: Chris Bernal, Kevin Cain, Todd Gill, Ali Jamalzadeh, INSIGHT. Creative Commons License, 2010, some rights reserved INSIGHT. This entry was posted on Thursday, June 23rd, 2011 at 12:27 pm	and is filed under Customer Renders. You can follow any responses to this entry through the RSS 2.0 feed. You can leave a response, or trackback from your own site. Absolutely beautiful . 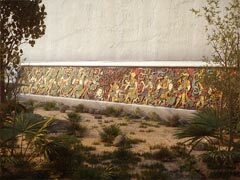 . . virtual archeology enhanced with x-frog foliage, very nice indeed.